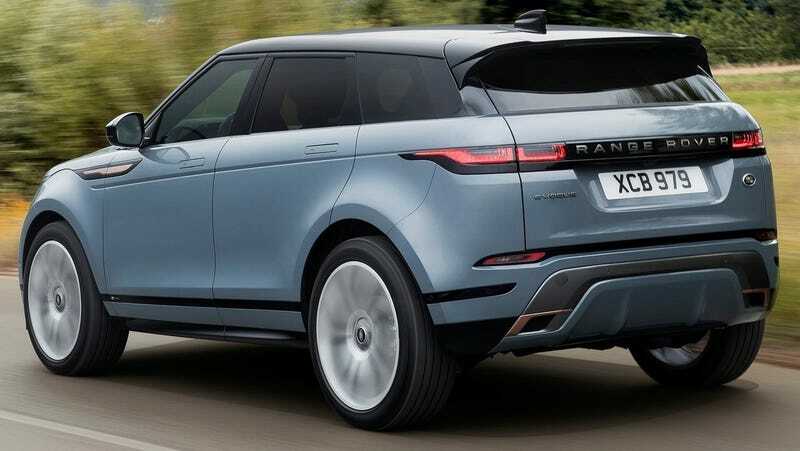 During the media presentation for the 2020 Range Rover Evoque last week, Range Rover’s Chief Design Officer Gerry McGovern revealed that the car’s fancy door handles were the result of a very specific request from Jaguar Land Rover owner Tata Motors. If you’ve taken a close look at the new Evoque, or perhaps the Range Rover Velar, or the Jaguar I-Pace, you should have noticed that the door handles retract into the door panels when the car is off and the doors are locked, creating a near seamless side to the car. According to McGovern, this was asked of the design team at Jaguar Land Rover from Tata Motors, the Indian automaker that bought the automakers from Ford back in June of 2008. McGovern told us it took four years to accomplish, so the request for seamless door handles likely came down the wire sometime back in 2012, as the feature of pop-out door handles first appeared on the Jaguar I-Pace concept car in 2016. The designers had to make sure the handles wouldn’t have any problem handling different climates, including freezing closed in harsh winters. If you’re paying attention, the only mainstream vehicle around that time making a bunch of noise for having flush door handles was the then-new Tesla Model S. McGovern didn’t explain exactly what the push for flush door handles was inspired from, but I’d bet Tesla was certainly part of those discussions. Update: A reader pointed out in an email that I forgot the 2013 F-Type which had flush door handles, though they didn’t pop out like on the Evoque, Velar and I-Pace, which would put the four-year development time back to 2009, just after Tata bought the company. JLR’s door handles are relatively seamless in both form and function, and considering many other automakers are still scooping out dents in the door panels for traditional handles, it adds a subtle touch of luxury without really compromising anything, as long as everything stays in working order.